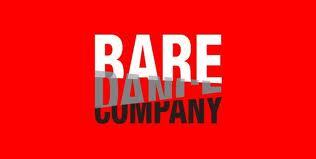 World Famous BARE Dance Company, Born in Manila, Philippines and raised in Southern California, Mike. Born in Manila, Philippines and raised in Southern California, Mike Esperanza has established himself as a sought after teacher and choreographer throughout the nation. With a BFA in graphic design from California State University, Fullerton, Mike's approach to visual construction has influenced a unique movement orchestration on stage. His work have been commissioned by OCHSA, Mt SAC, Saddleback College, Santa Ana College, Cal Poly San Luis Obispo, Cal State Fullerton, Chapman University and Loyola Marymount University.In 2004, his piece Cells was selected to perform at the America College Dance Festival's national gala held at the Kennedy Center for the Performing Arts in Washington D.C.